We encourage students to ask for the same physician or nurse practitioner each visit. Research shows that people who have an ongoing relationship with a primary care physician or nurse practitioner have better overall health outcomes, and lower total costs of care. 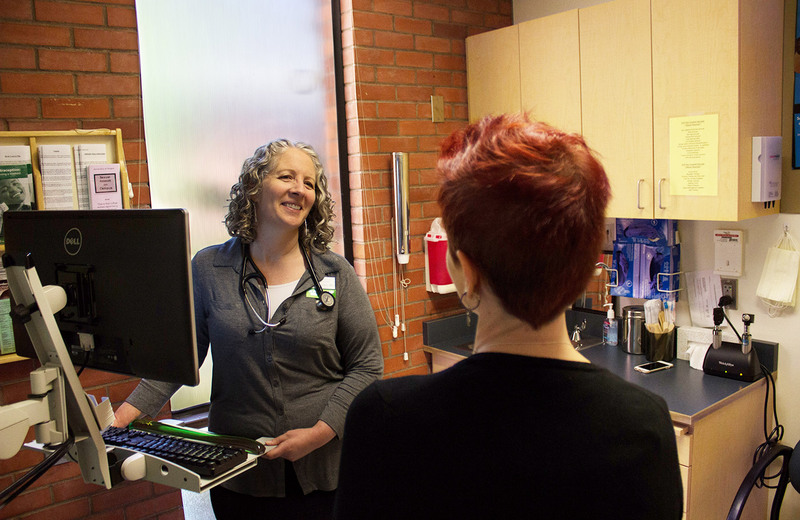 All primary care clinicians on staff are prepared to address everything from acute illness and injuries to preventive health monitoring, sexual health, mental health issues, chronic illnesses, asthma and allergies, and diagnostic challenges. Our board-certified physicians and nurse practitioners maintain a high level of up-to-date continuing medical education. How do I choose a primary care clinician? Read biographies of our board-certified physicians and nurse practitioners. If you’ve seen a physician or nurse practitioner in the past, ask a receptionist to look up your previous visits, browse staff photos online, or check the labeled photos at the main entrance of each clinic. Ask a receptionist to assign a primary care physician or nurse practitioner in your electronic files for easier scheduling. How can I advocate for myself for continuity of care? Ask for the nurse practitioner or physician of your choice by name when you make an appointment. Plan ahead when possible for the best choice of appointment times. Value continuity. When the only available appointment with your preferred primary care clinician is at a less than ideal time, value continuity of care over preferred appointment time, whenever possible. The medical staff works as a team to care for all patients of the practice. Never delay or avoid medical attention to wait for a specific physician or nurse practitioner.